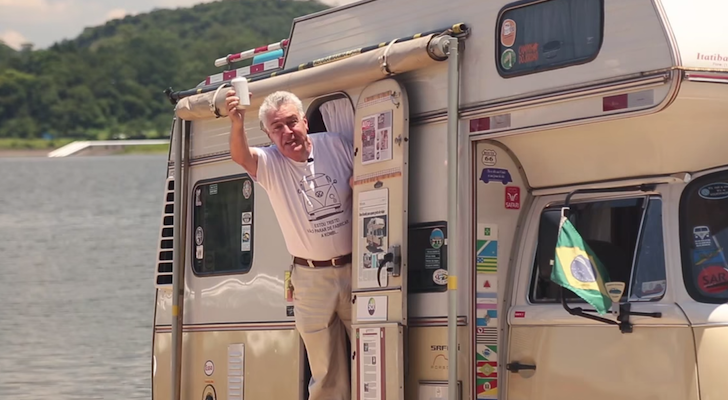 The world's smallest washing machine puts a laundromat in your pocket and lets you wash clothes in your RV with no electricity or hookups required. Grimy camping clothes are a sure sign of a great trip. But taking time to wash clothes in your RV when you’re on the road isn’t as nearly as much fun. 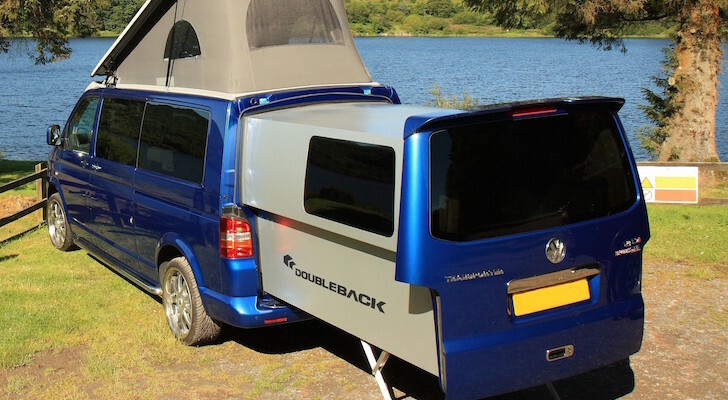 If you’re not lugging around an RV washer and dryer in your rig and you hate laundromats, this pocket-sized “washing machine” for RVers, vandwellers, backpackers and other adventurers is the answer. 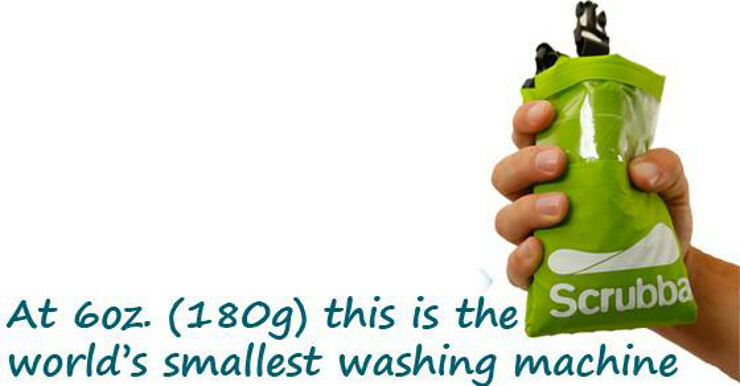 Meet the world’s smallest washing machine. After mulling over this issue for a few weeks, I was led to the idea of washboards – they have been around for centuries and they work very efficiently. The downside is that they are bulky and still require a sink or bucket. It was then that I had the revelation that if we could incorporate a highly flexible washboard into a waterproof sealable bag, we could change the way people wash clothes while traveling. 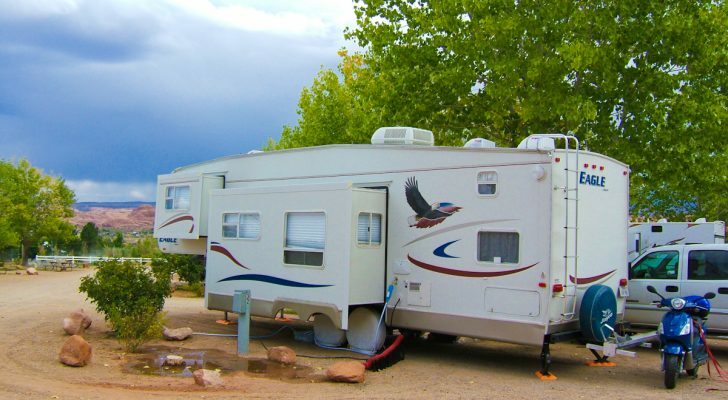 Make it easy to wash clothes in your RV. 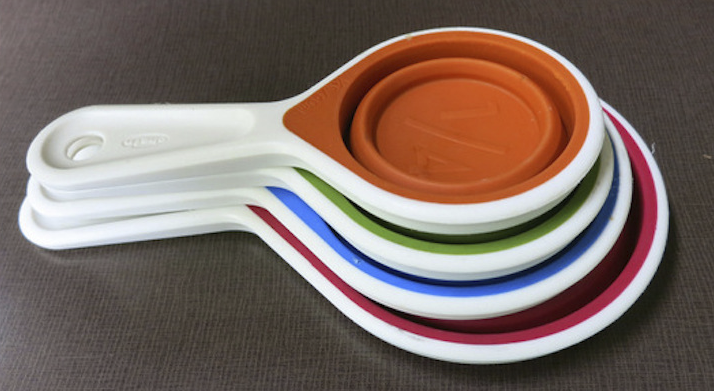 The idea led to a successful crowdfunding campaign that generated over $20,000 to develop Newland’s idea. 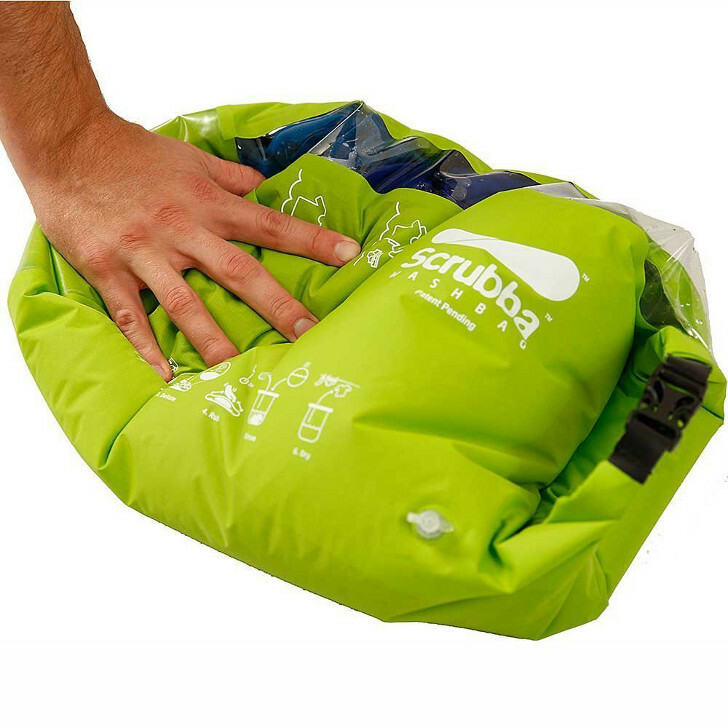 Many test runs later, the end result is The Scrubba wash bag, the world’s only pocket-sized “washing machine” weighing less than 5 ounces. What Can You Wash in a Scrubba? That’s about one day’s worth of clothing. Not bad. The Scrubba wash bag can hold 3 gallons of water. But for best results, you only need to fill it with 1 gallon. 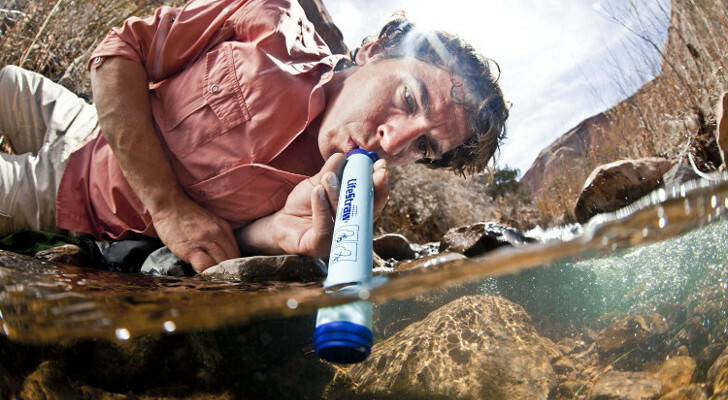 There are markings that show the right amount of water and clothes to add so you don’t over fill it. How big is the Scrubba? When you buy The Scrubba wash bag you are also helping the environment. Calibre8, Newland’s company that makes the Scrubba, is an environmentally-conscious business. 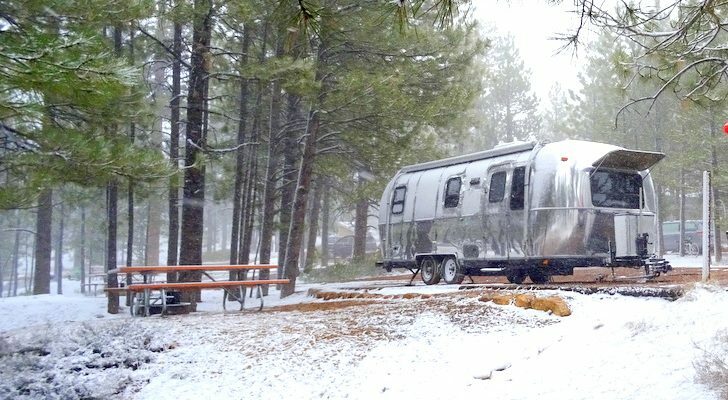 They work hard to educate customers about the importance of using eco-groovy laundry detergents and disposing of spent water safely into a septic system when you wash clothes in your RV or out on the trail. Another cool thing about Calibre8? 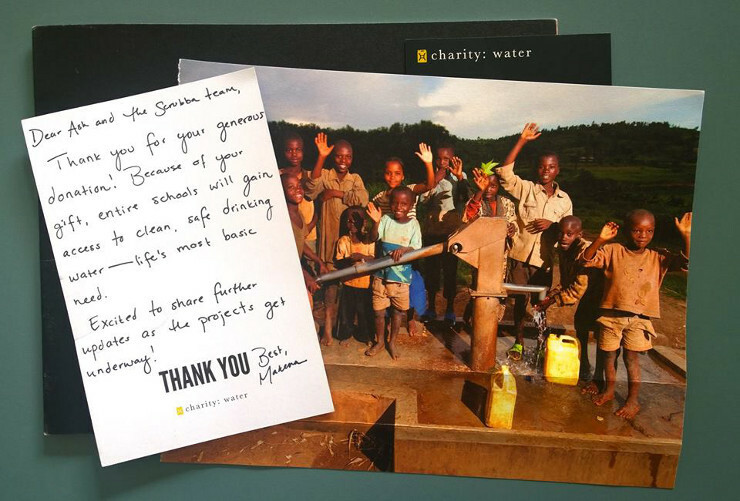 They regularly donate profits to global charities that design and create safe drinking water in developing countries. Buy a Scrubba and help developing countries get drinking water. The Scrubba wash bag comes with a one year warranty against defects in materials and workmanship.